Havana Silk Dogs Havanese - What Is A Show Brace? A A Show Brace is when you connect two dogs that look similar together. The idea is that they then must move and respond as if they were one dog, or as similarly as possible. 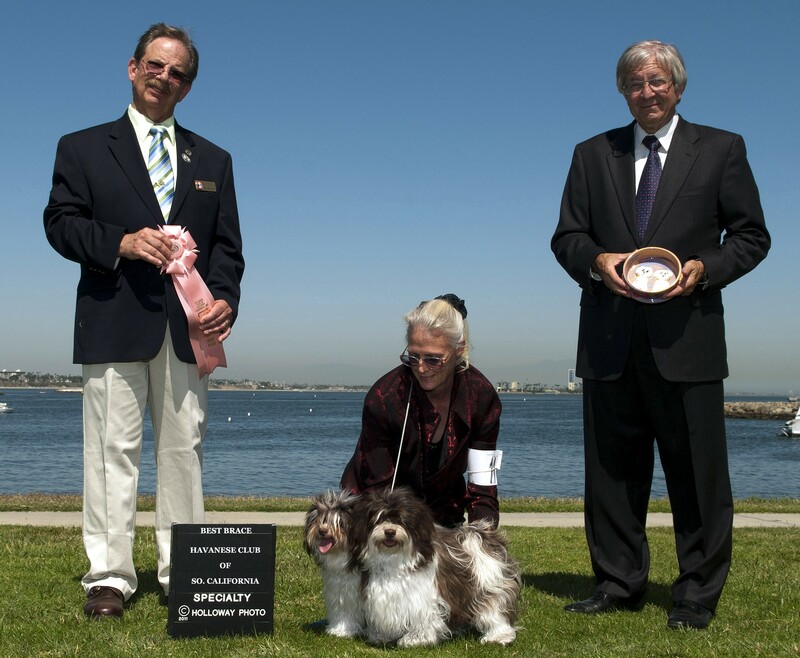 They are judged on how similar they act and how similar they look as well as correct Havanese conformation. These are my current show pups, Zambo and Luna. They are half siblings. Zambo is the sire of the current available puppies. This will give you an idea of what beautiful adults a Zambo puppy will grow into.